Size 5 1/8 in. 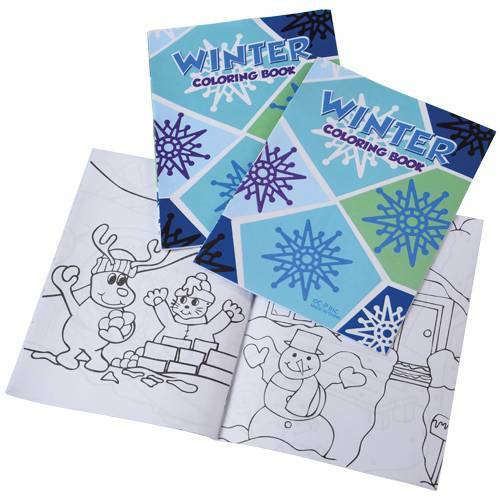 T.
Create a work of art with this winter season coloring book. With 8 pages for coloring, this mini book will keep kids entertained on those long holiday car trips. Perfect as party favors for your classroom holiday party, or stuff them into your little one's stocking. Makes a great companion with our winter crayons (XM436).